Anyone that knows me know that I am Disney mad. And getting featured on the Disney website has to be a total highlight of my career, little old me on THE Disney website arghhh. So we have decided to rediscover that magic and see the latest Disney On Ice show in Liverpool at the Echo Arena. 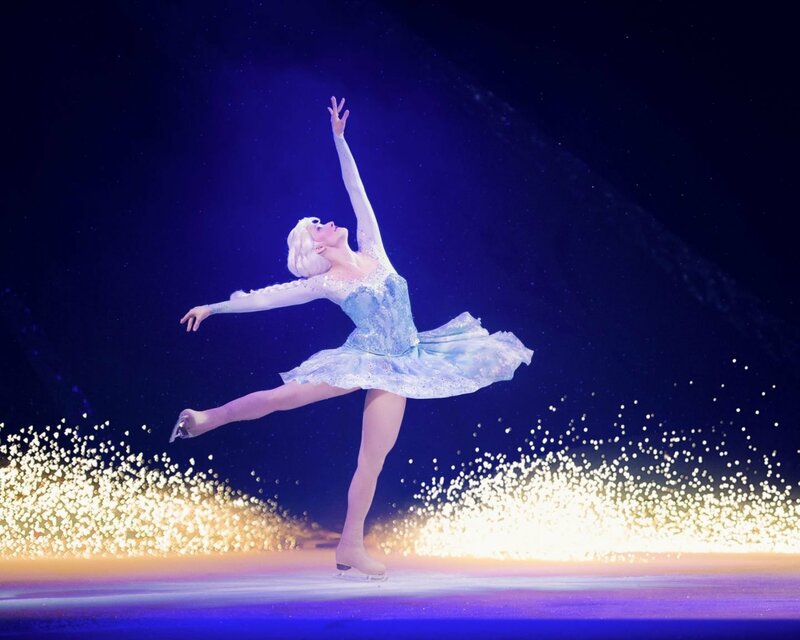 Disney On Ice Worlds of Enchantment will be live at Liverpool from the 11-15 April 2018. 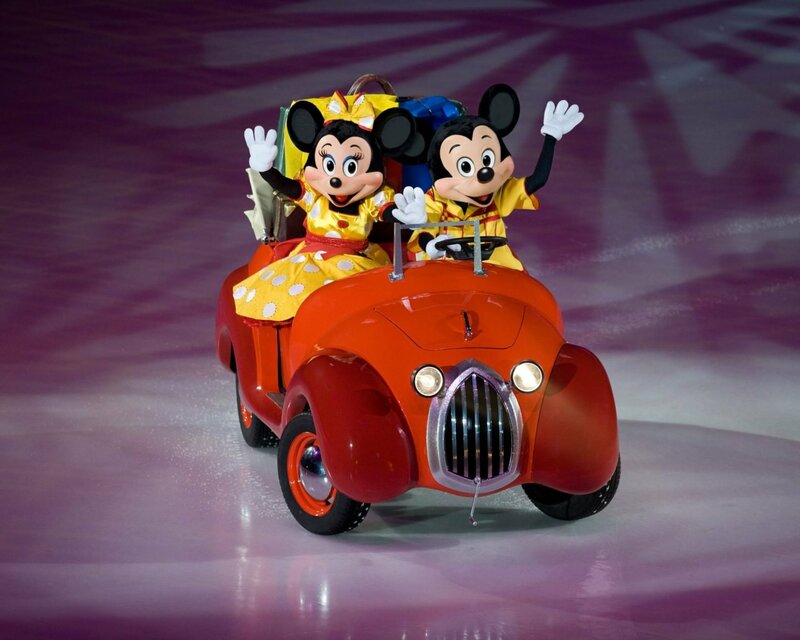 And here is all you need to know about Disney On Ice, Worlds Of Enchantment! So when you ask me the question are you ever to old for Disney my answer is a resounding no! How can you ever be too old for magic, surely you never grow out of it? And if you do, you need to have a severe word with yourself, there is always room in the world for magic. As such in a couple of weeks we are off to Liverpool to watch Disney on Ice’s, World’s Of Enchantment and I can’t wait. Disney of Ice was a yearly thing when the boys were younger. The older they got the less we went, but its like all wonderfully magical things I missed it! Missed the skill of the skaters, the magic of Disney and that feeling of excitement I get in my stomach, a little like butterflies. The chance to go out for pre show dinner, enjoy the build up and then emerge ourselves in a couple of hours of wall to wall fairy dust sounds just perfect. Feld Entertainment’s action-packed ice spectacular, Disney On Ice presents Worlds of Enchantment, will take the audiences on a captivating adventure to four magical locations, including Radiator Springs from Disney•Pixar’s Cars, Andy’s bedroom for some fun with the Disney•Pixar’s Toy Story 3 gang, the underwater kingdom of Ariel from Disney’s The Little Mermaid, and the wintry landscape of Arendelle from Disney’s Frozen. The first act of Worlds of Enchantment starts by bringing together all the fun, humor and warmth of the beloved Disney•Pixar film Toy Story 3. Woody, Jessie, Buzz Lightyear and the rest of the familiar gang hit the ice for the ultimate Toy Story experience. But the plan goes awry when their cherry red roadster unexpectedly breaks down. Although Donald Duck and Goofy try, it takes the assistance of the coolest cars on the ice to get the pistons firing again. Direct from Radiator Springs, Mater, Lightning McQueen and Sally speed into action, zipping and zooming around the frozen highway in an effort to re-energize the roadster. 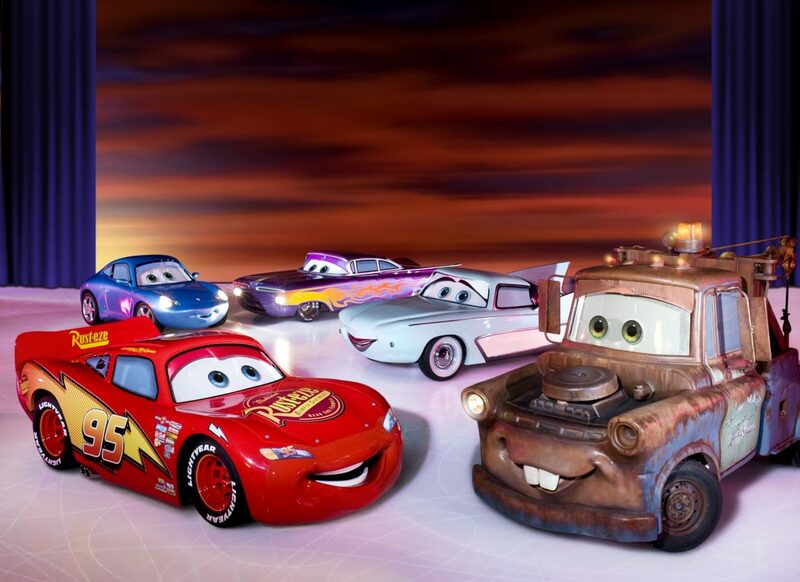 The life-sized Cars characters were developed by the innovative minds of the prop team led by Feld Entertainment Vice President of Scenic Elements Rick Papineau. Each car took 2,000 man hours to build and is outfitted with custom animatronics including blinking eyes and hydraulic lifts that bounce to the beat of the music. 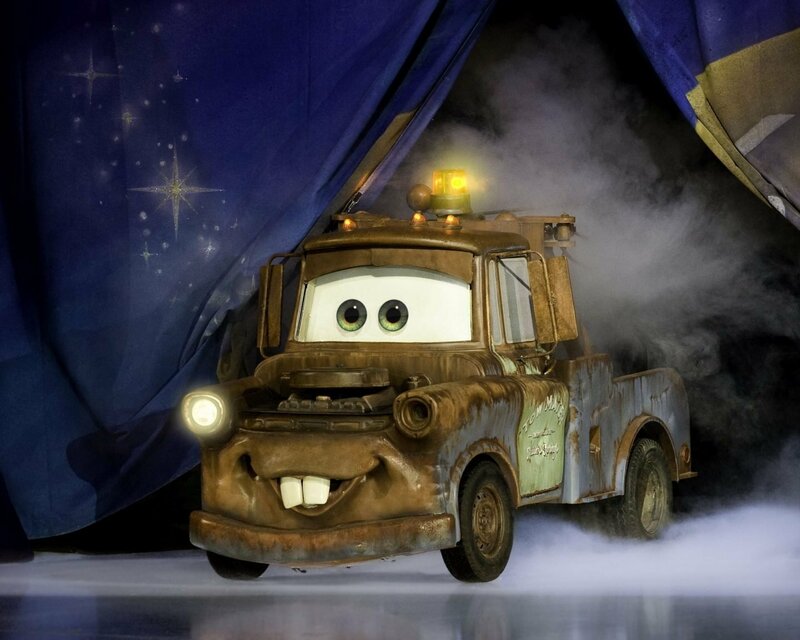 Mater and McQueen even come complete with moving mouths, enabling their dynamic personalities to shine through each time they speak. “The cars are going to be a big surprise because no one will expect them to be so animated, so large or so realistic,” says Papineau. To join royal sisters Elsa and Anna, the hilarious snowman Olaf, rugged mountain-man Kristoff and his loyal reindeer Sven as they discover true love conquers all. The Academy Award® winning animated film comes to life on ice and is packed full of action, adventure, magic and unforgettable characters. I am thrilled to have a family ticket for 2 adults and 2 children to give away to one lucky reader for the Wednesday the 11th April show at the Echo Arena in Liverpool. All you have to do is enter via the rafflecopter below, good luck. Moana, because I love all her songs! I am with you there ! Belle is my favorite, because she is strong & brave. She’s always just herself and doesn’t try to impress anybody. I love Minnie she’s adorable and well she’s one of the originals. My favourite Disney character has to be Merida from Brave, she’s fearless and strong minded which are things all girls should be ! I love eeyore from winnie the pooh because he is so grumpy and lovable! I love Ursula the Sea Witch – She’s a Diva in a black dress who won’t be body-shamed! We love Mickey Mouse, he’s like the king of Disney. Mickey Mouse – the leader of the gang! Last time I was asked I said Sally from Nightmare Before Christmas because she’s so kind and determined but I’m in more of a Merida from Brave frame of mind today, she’s not afraid to stand up for what she believes and she’s a bit of a rebel. And my hair is nearly as wild as hers after this morning’s school run! I love Baloo, he’d make a great friend! Oh I would love to see Elsa on the ice. My little girl loves anything Disney too, especially frozen. I love Mickey Mouse to be he is Disney, being one of the very first characters and still popular today shows how much he is loved and admired, I’d love to take my family to Disney on Ice it would be a great treat for my 50th birthday in April. I love Cinderella, she is proof that dreams can come true ?? Jessie from Toy Story is ours. She is so much fun and full of life. Belle is my favourite because she is such a strong character who cares not what others think.